This year is Changzhou YuBo Electronic Scale Co.,Ltd established 10 years, which for us is a very Weighing industry cause for celebration, but also for our business could be so strong, so the sun, growing so quickly gratified. 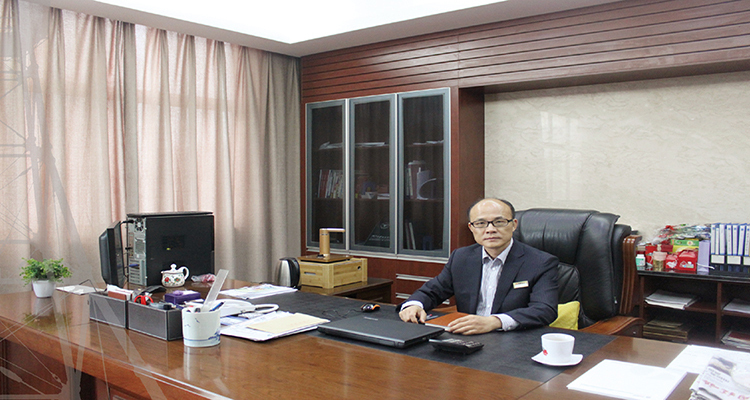 Recalling Changzhou YuBo gifted 10-year process of growth is indeed worthy of the name, you can see Mr. Chu, general manager of the year Youbao reservoir to its name when the distinctive gifts. As far as I know, the excellent treasure corporate name from the English young boy, namely British Gas break young people. Chinese have a saying called "phase from the heart," a longing for elegant and beautiful people, first of all from the heart of the elegant and beautiful. Changzhou YuBo in force since birth that day he insisted to do a young boy, a good young boy, a sun young boy, a robust and elegant young boy, this is the year the reservoir total of YuBo company's expectations and hopes, Changzhou YuBo indeed live up to this decade development. Changzhou YuBo, founded in 2006, is now the China Weighing Association unit, also in Jiangsu Province and Changzhou City private high-tech enterprises, is a long-term professional commitment to product research and development of electronic weighing, weighing manufacturing production, sales and service, is the one of the few well-known independent research and simultaneously manufacturing large Weighing, comprehensive small scales, explosion-proof scales, automatic scales, commercial scales, weighing components (instruments, sensors, etc.) so few product categories of instrument manufacturers, he has received numerous awards. Weighing industry and other businesses is no different upbringing, Changzhou YuBo was on from several people, several hundred thousand dollars of funds began the difficult start in rented factory, as a private enterprise, the hardships without saying. But no matter how the environment, YuBo uphold the corporate philosophy has never wavered, because of this, but also have the advantages of today's treasure. Over the years, YubO always uphold the "integrity always, abide by the professionalism, forge ahead, win the future," the core values, with excellent product quality and integrity of the business philosophy of continuous innovation and product variety management ideas, excellent company to treasure steady and rapid development. Today, many products have become excellent treasure, sales volume and strong R & D capabilities, and have independent property industry rookie plant. Changzhou YuBo in standard industrial scales and weighing standard commercial terms with a strong technological advantages, a wealth of engineering experience and perfect service capabilities. Over the years, the company strictly in accordance with the relevant standards to organize product development and production within the enterprise to establish, implement and maintain the ISO9001: 2008 quality management system, product range and rich, cost-effective, in domestic and overseas markets set a good brand image, products sell well at home and abroad. Changzhou YuBo has been committed to provide users with various set of products, services and applied to one of the various types of weighing solutions that create more value for customers, but also won the respect of customers and a good reputation. A client had spoken, because the company wants to participate in a major bidding activities, in order to be sure of success, they decided to abandon the original discretion repeatedly to cooperate with a brand companies, looking for new partners, introduced to meet YuBo, Changzhou YuBo did not disappoint let them get it, since they are excellent and Changzhou YuBo forged a bond, is relying on the integrity of a play and quality play, YuBo won more and more customers, now, YuBo product sales network throughout the country, established a complete nationwide marketing, sales, service system. In the international market, the Changzhou YuBo has been with customers in more than 50 countries and regions to establish a broad business relationship, Youbao comprehensive product to the international market.